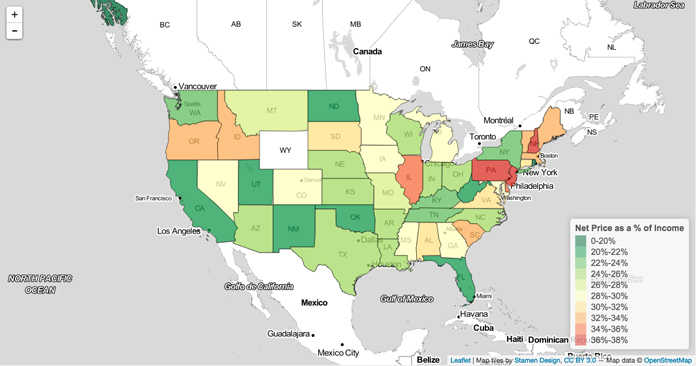 College Affordability Diagnosis is a state-by-state look at the cost of higher education. It is designed to help policymakers and institutional leaders compare what students and families must contribute to pay for college—from percentage of family income to hours worked while in school—across the range of institutions in any given state. College Affordability Diagnosis was made possible by a generous gift to Joni E. Finney from the estate of Virginia B. Smith. College Affordability Diagnosis was made possible by a generous bequest from the estate of Virginia B. Smith (1923–2010) to Joni Finney, the report’s project director and co-author. Smith was a trailblazer in expanding access to college for all students. As an academic, public official, and research executive, she advocated for the expansion of high quality and affordable higher education for students of modest economic means. She was unwavering in her belief that higher education should serve broad public interests to strengthen individual opportunity and democratic ideals. Appointed by President Nixon as the founding director of the federal Fund for the Improvement of Postsecondary Education (FIPSE), Smith directed an array of initiatives that led to significant innovations in American colleges and universities. As president of Vassar College, she expanded access and pushed for a more diverse institution. 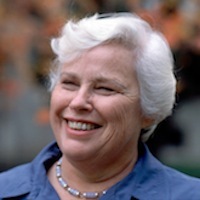 She later served as acting president of Mills College and held leadership roles in the University of California system. As associate director of the Carnegie Commission on Higher Education, she led national initiatives resulting in a body of policy reports that guided higher education in the latter half of the 20th century.